VMI-Radford baseball Game time moved up to 4 p.m.
Front Page » Sports » VMI-Radford baseball Game time moved up to 4 p.m. The VMI baseball team announced Monday that the start time for its Tuesday game against visiting Radford University has been moved up from 6 p.m. to 4 p.m.
Radford comes into the game with a 6-13 record, dropping two of three to Presbyterian College in Clinton, S.C. this weekend to open Big South Conference play. 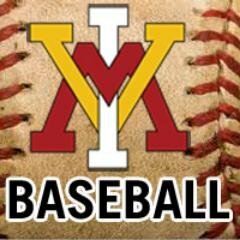 VMI is 4-15, going 1-3 last week, falling twice in extra innings to Lehigh University and to Marshall University by one run. AFP editor Chris Graham joins Voice of the Keydets Wade Branner on the game broadcast on ESPN+.